Finding a Martial arts school in Keller TX can really be a difficult process if you don’t know what you want. Are you and your kids beginning to feel like karate classes could really be a difference maker in your lives? Perhaps you’re just looking for a healthy place to spend time at when you’re not at work or handling other daily obligations. 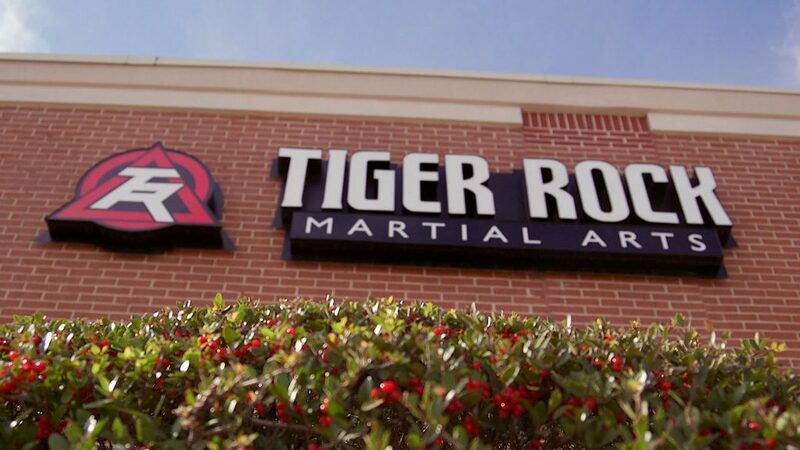 If you’re ready to join the best dojo in Keller, Tiger-Rock is the right place for you. The Tiger-Rock brand began in 1983, and ever since, we have developed into one of the biggest martial arts franchises of all-time. When you’re feeling like you’re unable to get through those pesky mental and physical plateaus, let us know and we’ll be here to help. Our team of certified instructors has mastered the type of Korean Taekwondo we teach. In turn, they will be able to give you the training, instruction, and guidance you’ll need to master it as well. We want all of our pupils to develop into the best versions of themselves. If you don’t know where to start, we’re here to help. Are you beginning to feel like your physical stature and abilities are waning? Perhaps you’re unsure of how you’re going to go to the gym with your friends without embarrassing yourself. Maybe you’re just in a mood or state of consciousness that feels like one of the unhealthiest you’ve ever been in. This can be very discouraging for anyone; we all want to feel strong, happy, and healthy. However, too few of us get to experience this in a genuine way. If you’re ready to get better, join Tiger-Rock. At TRMA, you’ll have a place to train and get better. We put all of our students through extensive drills and exercises that will give them the training they need. Strikes, kicks, and form repetition might seem very strenuous and redundant at first, but this is the basis you’ll need to develop your skills. This can be a very steady process, but if you’re trying to get through it in the most efficient way possible, we’re here to help. You can count on our staff to give you positive feedback and constructive criticism that’s necessary for complete mastery of Taekwondo. Everybody wants a martial arts school in Keller TX that provides them with a place to get stronger, faster and more flexible. These are all things that you will experience if you completely immerse yourself in the Tiger-Rock dojo in Keller. However, there are probably other things you want out of your karate classes and martial arts studios as well. Not everybody wants to simply lose a few pounds and learn a couple of kicks, flips, and strikes. While Taekwondo is much more than this, it’s important to completely embrace this martial art and use it to better yourself. Are you someone who frequently experiences daydreams and other lapses in focus? Perhaps you’re trying to find a way to get out of this and begin doing better for your job, school, peers, and sense of self. While this is something that everybody goes through at times, it’s important to get control over it before it becomes something greater. This issue can completely consume the human mind if left untreated, and you’re going to want to solve this problem quickly. While it can be tough to do it yourself, know that we can help. Concentration, self-discipline, and focus are things you can count on improving if you go to Tiger-Rock. We understand that people want to be in positions of success, but you will need a sharp mind if you want this to ever take place. While this isn’t always the easiest thing to improve, the professionals here at TRMA are ready to jumpstart your cognitive abilities. You will see improvements in multiple aspects of your life if you commit yourself to our complete programs. Did you know that martial arts are one of the best ways to improve your mind? Many martial artists and practitioners of Taekwondo report changes and improvements in the way they think. If you’re someone who greatly prioritizes thinking in a healthy manner, this is a great place for you to be. We expect our students to give it their best effort at all times. Our dojo is fun, friendly and healthy, but you’ll need to be mentally present when you’re here. We want you to get better, but it’s not always easy. Make sure you get the most out of your body, mind, and soul by coming to Tiger-Rock for self-improvement. Our classes are for everybody. Are you an adult who’s trying to get back into Taekwondo after years of hiatus? Maybe you’re attempting to figure out how you’re going to expose your teenage or toddler children to this valuable part of life. Whatever the case may be, know that Tiger-Rock is a family-friendly environment that wants you to succeed at all times. Your whole household will be able to train here. We have programs specifically tailored for children as young as four years old. And of course, we also have no shortage of adult courses! Visit our dojo today for more details. Contact Tiger-Rock For More Information! When looking for the best Martial arts school in Keller TX, make sure you reach out to Tiger-Rock Martial Arts for details. 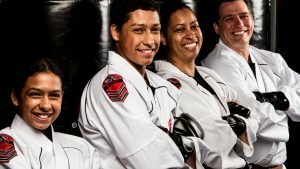 Our team of Taekwondo experts is here to give you the support and training you’ll need for the best possible outcomes. Visit our dojo today for more information on our introductory course packages. These give you a great sample of what to experience here in our Keller Tx karate classes. Contact Martial arts school in Keller TX Today! Keller is located near the Double Springs of Texas. As a part of Tarrant County, it’s very much ingrained in the Dallas-Fort Worth metroplex. Keller was officially incorporated in the 1950s. Joseph Knox was our first mayor. In 2016, Keller was voted one of the safest communities in all of America. We pride ourselves on keeping our citizens safe. We hope to continue to do this for years to come!